Laura and Lynn's Story recounts the heartbreaking tale of the McKenna family, who lost both daughters to illness 20 months apart. Laura, aged four, died very quickly and peacefully after the final surgery to repair a hole in her heart, having previously spent seven months of the first year of life in Our Lady's Hospital for Sick Children, Crumlin and gone through three previous surgeries. On the day of Laura's surgery, Lynn, aged 13 at the time and never sick in her life, was diagnosed with leukemia. Laura died the following day, never having woken up, and Lynn was already a patient in Oncology at Our Lady's Hospital. After eight months of chemo and other aggressive treatments, she was in remission for about five months before she re-relapsed. While waiting for a bone marrow transplant her condition worsened, and there was nothing else that could be done. In her last week Lynn wrote letters to all who had been so wonderful to her, including her doctors; saw friends; said her "goodbyes"; arranged her funeral and wrote her will. When she was too weak to write, Jane did it for her, but she dictated.How she coped with her illness, her adored sister's sad death and her own imminent demise is an inspiration to us - she wished it could be different, but accepted it with such dignity, aged just 15. She lived every minute of her last weeks to the full, which is how we should all live our lives. Knowing that she had to do something to deal with her grief, Jane set up LauraLynn House, Ireland's first children's hospice. Opened by President Mary McAleese in September 2011, LauraLynn House has provided hundreds of sick children and their families with the care, comfort and respite that a children's hospice brings, especially the wonderful care at the all too sad end-of-life. 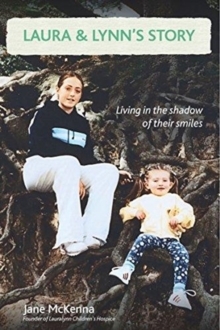 Laura and Lynn's Story is a tribute to two brave little girls whose lives were cut short, but it is also a testament to the remarkable resilience and determination of their mother, Jane, who was unwavering in her desire for something positive to come out of the tragedy. With numerous contributions from families who have benefitted from the care and compassion they received from the children's hospice, this book is ultimately one about hope and courage.